Perhaps one of the most talked about aspects of history is treasure. Since the dawning of time, men have been on the search for bricks of gold, dazzling jewels and mountains of endless of wealth. While El Dorado was never found and the Free Masons didn't actually hide a treasure map on the back of the Declaration of Independence (to anyone's knowledge), there are still many real treasures to be found across the globe. 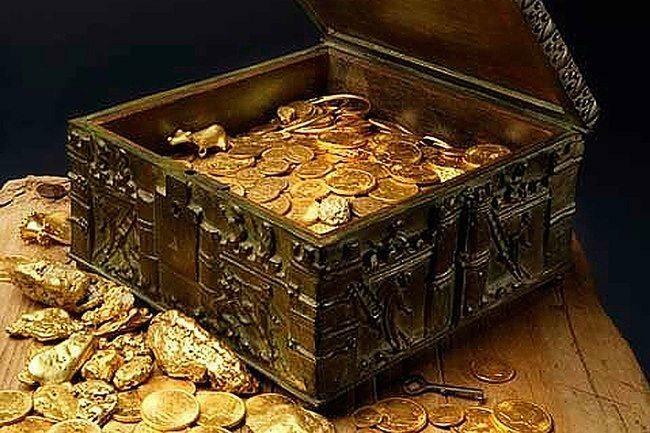 From life savings to stolen currencies to sunken ship, here are 20 treasures that were hidden or lost over time that could make someone very rich...if they can find them. In 1988, art dealer and writer Forrest Fenn was diagnosed with kidney cancer. With the clock ticking, he came up with the idea to hide a bronze chest full of his life's treasures (gold nuggets, rare coins, artifacts jewelry, gemstones and an autobiography) for someone to find after his death. A lover of history and a collector of artifacts, Fenn decided that the treasure chest was going to be his legacy, his mark on history. Although Fenn ended up surviving his illness, and is alive and kicking at 84 years old, he has hidden the treasure, valued between $1-$3 million for anyone to find. In 2013, Fenn revealed that he had tucked the treasure away in the Rocky Mountains north of Santa Fe, at 5,000 feet above sea-level. Along with this reveal, Fenn has also provided a poem containing clues that he says will lead to the treasure if followed precisely.